Need more information about booking Home 6873728 ? 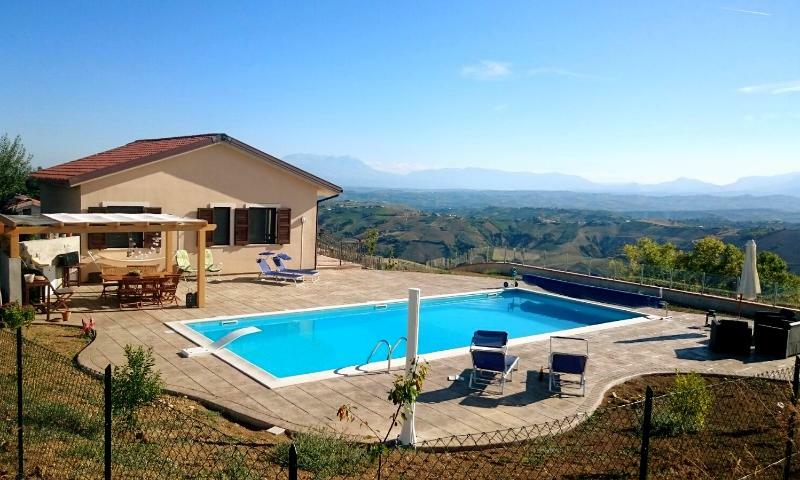 Modern, spacious villa, with magnificent, open views of the Gran Sasso and Maiella mountain ranges, close by, rolling hills, plus a distant view of the Adriatic sea. The accommodation is all on one level, with 3 large bedrooms, one of which has an en-suite bathroom, plus a family bathroom. There is a large living room, which contains the kitchen, dining area and relaxing area. The living room has 3 patio doors. One of the doors leads to a spacious balcony, with sea and mountain views; an ideal place to sit and eat breakfast, whilst watching the sun rise. The other 2 doors lead out onto another balcony, which runs along the whole side of the villa, and has amazing mountain views. From this balcony, you enter the swimming pool area, with extensive terrace, and outdoor dining area. The swimming pool is heated. (The water can reach 6 degrees more than the average air temperature). The outside kitchen contains barbecue, sink and fridge. The outside dining table seats 10 people, plus there is smaller table on the other side of the pool. There is also a hammock and various sun beds dotted around the pool. The grounds contain many fruit trees and a vineyard, growing Montepulciano grapes. Guests are welcome to wander where they like and to help themselves to any produce that is ready on the trees. The villa is perfectly positioned, in a quiet spot, but close to large towns, such as Atri and Città Sant'Angelo and the beautiful Adriatic coast. Villa Colle Petitto is only 5 minutes from the ancient town of Atri, which is steeped in history and art. A great place to go and sit in one of the lively bars in the main piazza and watch the world go by, whilst enjoying a cappuccino, glass of local wine or a delicious ice cream. In the other direction from Villa Colle Petitto, you will find yourself at the Adriatic coast, in about 10 minutes. One of, if not the best resort in Abruzzo, a frequent winner of the blue flag for clean beaches, Pineto gets its name from the pine trees which line the road along the coast. Here you will find many delicious fish restaurants as well as shops and architecture. All utilities and end of stay cleaning are included in the price. However, there is a winter heating fee from November to March. This costs €8 per litre of gas, after the first 2 litres of gas have been used. 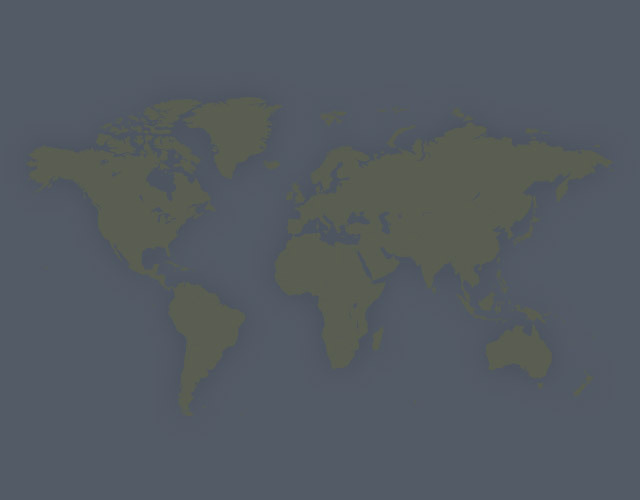 You can get in touch with Oddmund (the owner) through the contact form on this page. Send Oddmund (the owner) an email through the contact form on this page. Alternatively, if there’s a phone number on this page, you can call them. How do I contact Oddmund (the owner)? If you’ve already booked, go to Manage your holiday booking to view Oddmund the owner's contact details or send them a message. Or send Oddmund (the owner) an enquiry through the Contact the owner/manager form if you’d like a quote or more info first. When you pay online through the Book your stay form, a booking request is sent to Oddmund (the owner). You’ll find out within 24 hours whether they’ve accepted - no money will leave your account before then. You can also request a quote from Oddmund (the owner) through the contact form. The owner will email you the total cost for your dates and a link to book and pay online. Use the Book your stay form to pay provisionally online. You can pay by credit/debit card or PayPal. Oddmund (the owner) will have 24 hours to accept the booking and no money will leave your account before then. Why can't I call Oddmund (the owner) before booking? You’ll need to contact Oddmund (the owner) to do this. Send them a message in Manage your holiday booking or through the contact form on this page. You can request to change the dates or number of people on your booking via the Manage your holiday booking page. To change your holiday dates use the Edit booking button. If you need to change the number of guests staying then send Oddmund (the owner) a message. If Oddmund (the owner) agrees, they’ll send you a revised quote outlining the changes. You can review and accept/decline this from the Manage your holiday booking page. You’ll have 48 hours to take action before the revised quote expires.